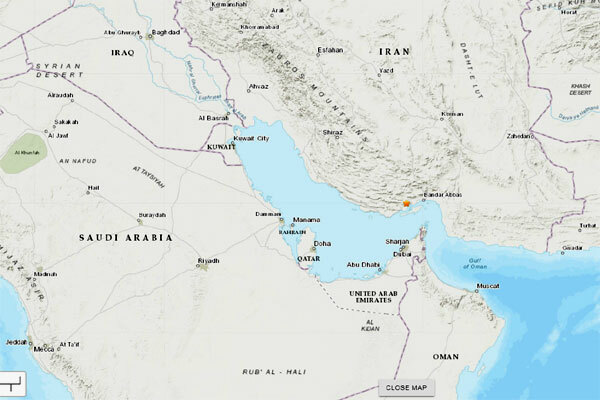 A minor earthquake struck the south of Iran, close to the Arabian Gulf, resulting in tremors being felt in the UAE, especially in some part of Dubai and the northern emirate of Ras Al Khamiah. A 5.0 magnitude earthquake was recorded on the Richter scale in Iran on Sunday afternoon, the local media reported, citing the Tehran-based Institute of Geophysics. There were however, no immediate official reports of destruction or casualties. At least two people have been injured, according to a preliminary assessment by the Iranian Red Crescent Society, said the report. The earthquake occurred at 2:24pm local time in the southern coastal province of Hormozgan, it stated. The tremors were also felt in the village of Laft on Qeshm Island, 14 km from Bandar Khamir, and 34 km from Dargahan, the report added. The US Geological Survey said the earthquake was of 5.3 magnitude, while the Emirati National Center of Meteorology (NCM) recorded it as being of 5 magnitude. Minor tremors were felt by residents in Ras Al Khamiah, although no damage was done, stated NMC in its tweet. Residents at Dubai Academic city too reported a minor tremor at around 2:55pm today.